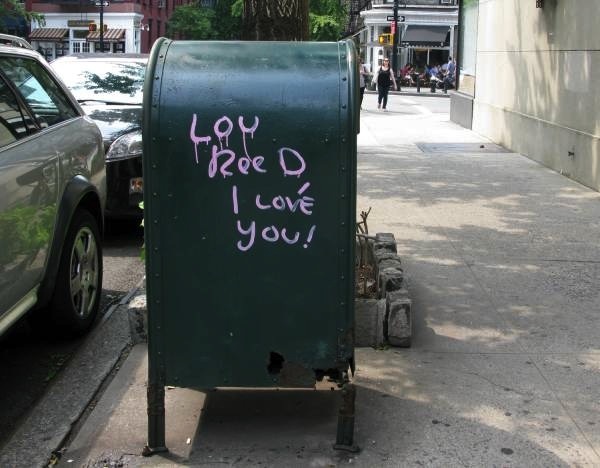 Stacy Horn » Blog Archive » Do you think Laurie Anderson spray painted that? Do you think Laurie Anderson spray painted that? Do Lou & Laurie live on your street or in your neighbourhood, by any chance? They lived in my neighborhood, but I don’t know if they still do!